Day two of my birding excursions with Mark started in the same way as day one. We met at 04:30 in the morning. I'll be completely honest and say that I was very tired this morning. A long day, the day before and then an evening with my family and a pretty late night, was perhaps a little bit too much for me... But on the other hand I was really looking forward to the sites we were supposed to visit. Anyway, we started off towards Green Mubazzarah. A coffe on the road made life a little easier and soon we could the the first traces of the morning in the sky. We approached the site when the sun was just up and the green park with its manufacured little stream made a nice contrast to the desert. At least in the beginning but then, again, the amount of litter started bothering me. I can't believe that they don't take care of their nature better. Some birds were present on the turf; Wagtails and Pipits. 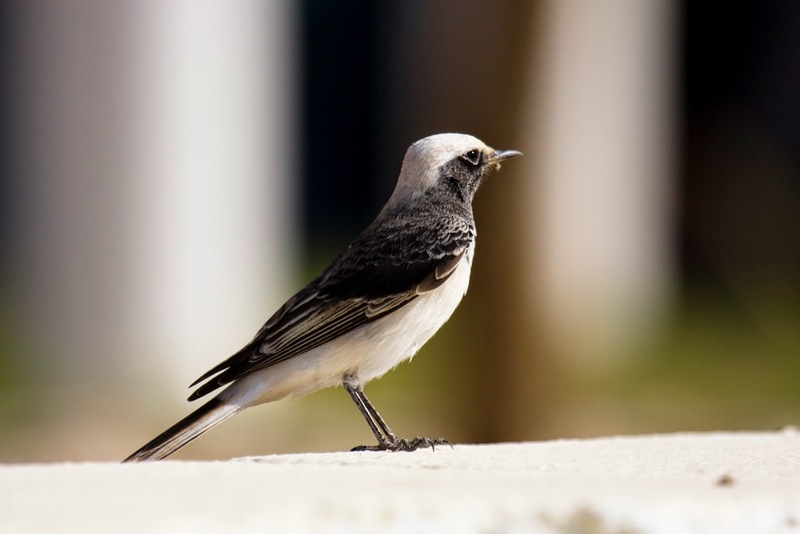 We drove around one of the places where the Hooded Wheatear (munkstenskvätta, Oenanthe monacha), one of the target species for this trip, could often be seen. 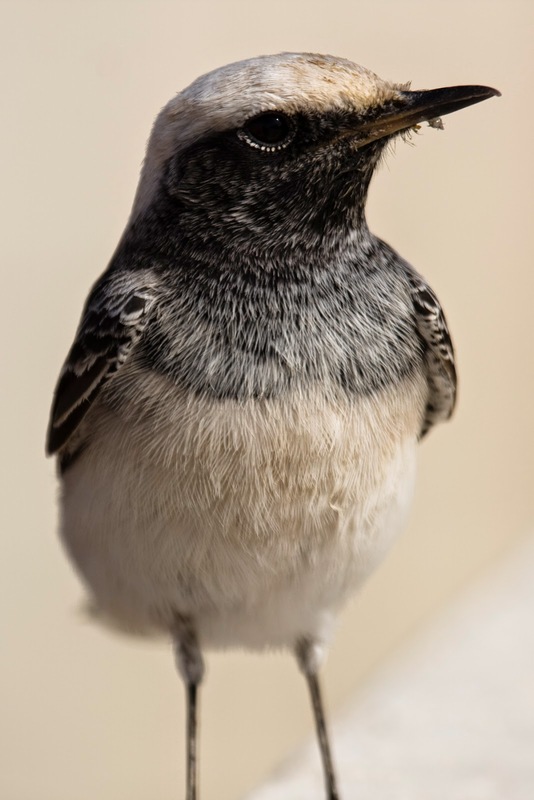 Mark told me that he was bad luck when it came to Hooded Wheatear and, to be sure, no specimens could be seen. We parked the car and started down the little wadi, just by the park. Another of the target species for today was the Sand Partrigde (ökenhöna, Ammoperdix heyi), which with some luck should be present here. We were lucky... Mark immediately spotted a siluette up on the stony ridge of the wadi. Very nice. 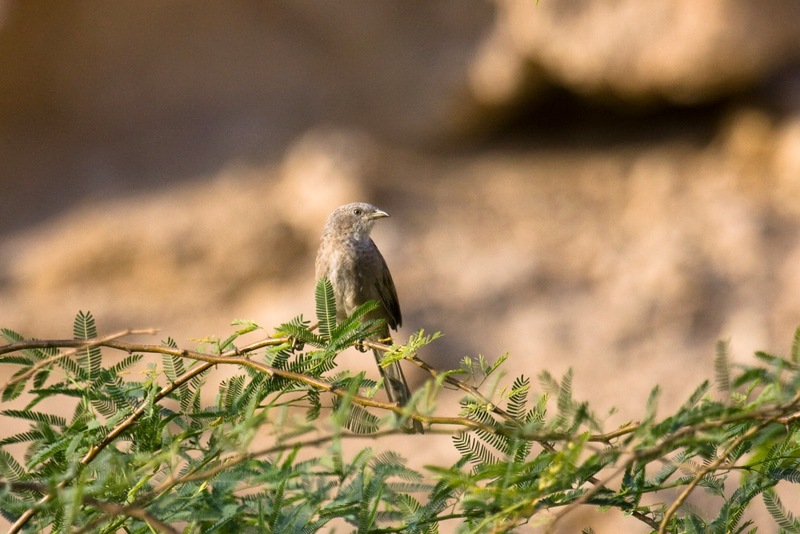 A couple of Blue Rock-Thrush (blåtrast, Monticola solitarius) were also there and it also turned out to be a good place for Arabian Babbler (arabskriktrast, Turdoides squamiceps). Up on the ridge, one Sand Partridge could be seen. Much better in the scope of course but this made for a nice start of the morning, despite me being very tired. A new lifer. 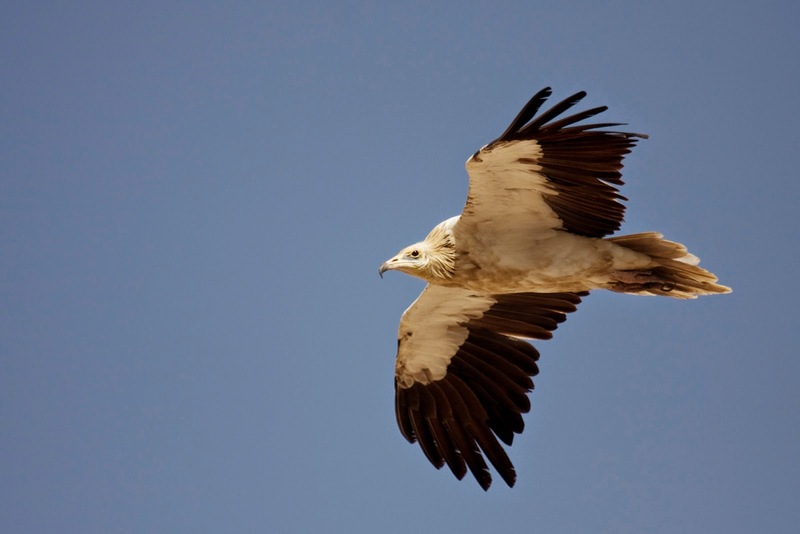 Still exotic for me but not very rare in UAE. 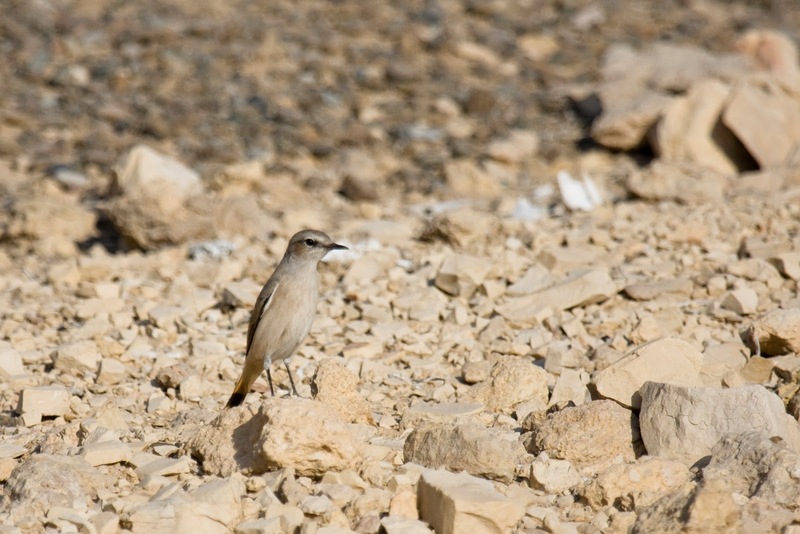 But in order to see the Arabian Babbler you need to get out of the Dubai city center, for sure. Though I believe that some of the parks and perhaps the Pivot fields can hold some Babblers. 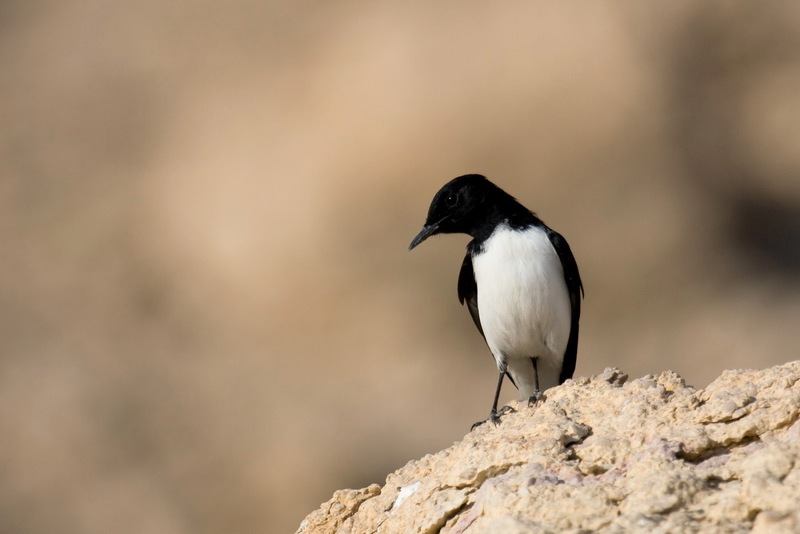 We started walking up the Wadi and some of the species we had amed for yesterday in Masafi Wadi were present here as well. 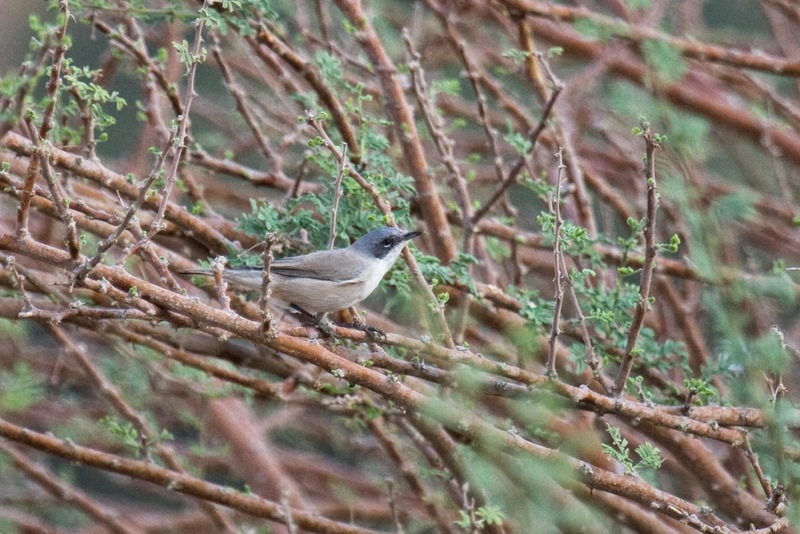 Several Plain Leaf-Warblers (dvärgsångare, Phylloscopus neglectus) could be seen and finally we got to see the Desert Whitethroat (ökenärtsångare, Sylvia minula), which we only heard, the day before. 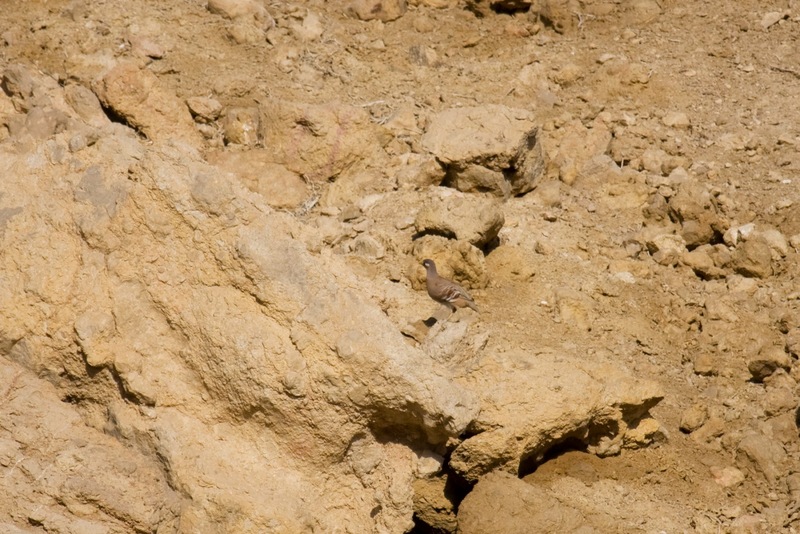 In the upper end of the Wadi, there was another male Black Redstart (svart rödstjärt, Phoenicurus ochruros) probably of race phoenicuroides. 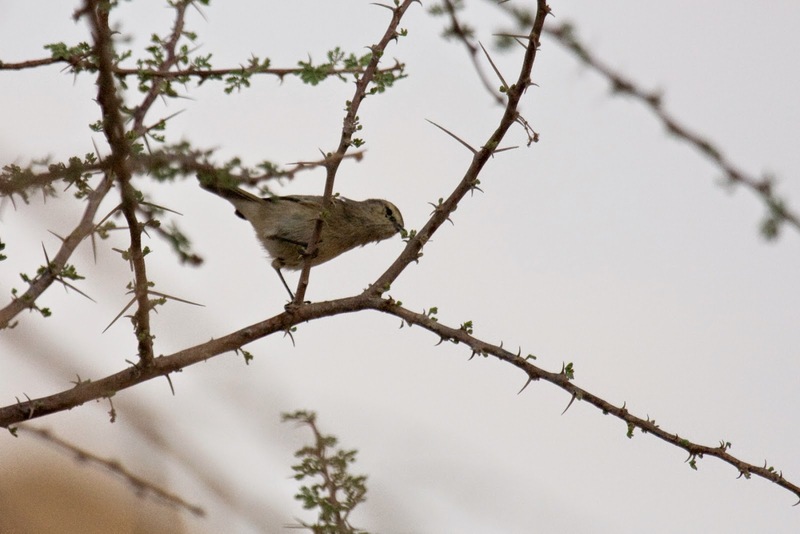 More Desert Whitethroats everywhere and also Plain Leaf Warblers. It was nice to see some more Plain Leaf Warblers and this time they were easier to get close (or at least closer..) to. But the light was still pretty poor, the Wadi being in the shadow of Jebel Hafit. 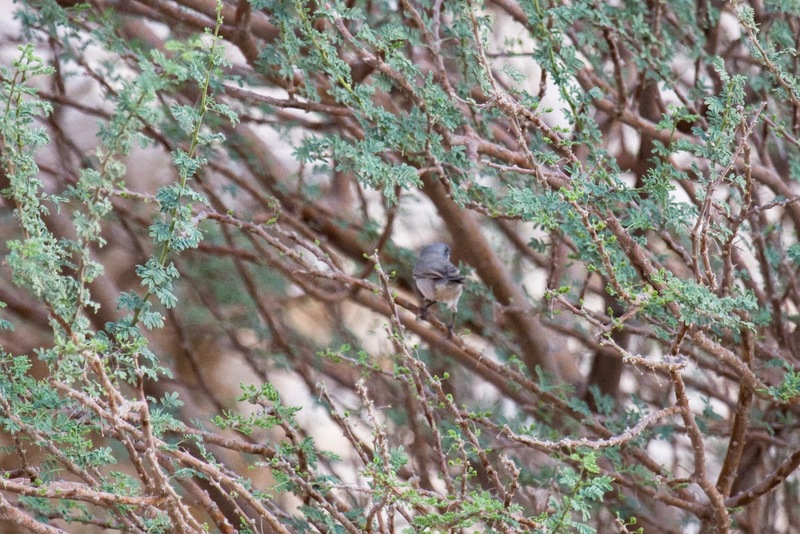 In the blog post from Masafi Wadi I called them Desert Lesser Whitethroat, which is the name for the bird in the "Birds of the UAE" but in the official list of Swedish bird names it is called Desert Whitethroat, which I why I used that name here. We headed down the Wadi to what had once been a dam, I think. nothing new while walking there but on the way back we got some better views of Sand Partridges and I took some time to try to take some decent photos of Hume's and Red-Tailed Wheatears. 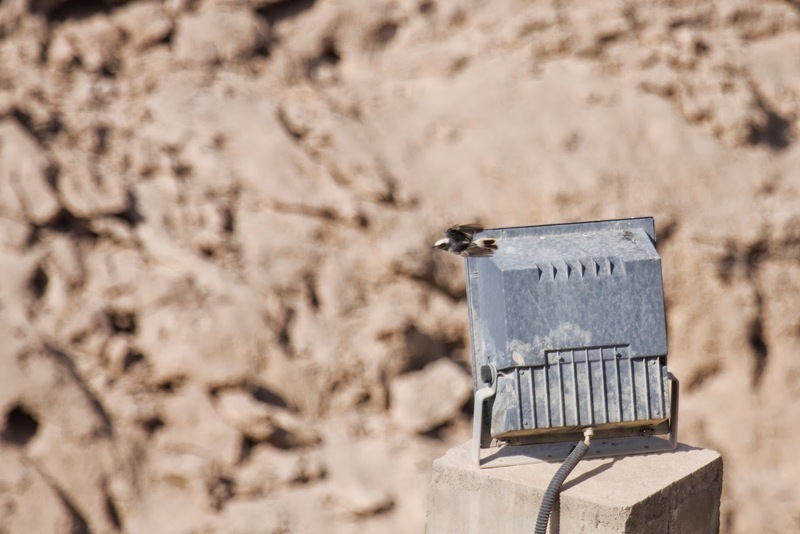 The Sand Partridges were not very accomodating when it came to photography... This was the best shot I got but at least it shows what I believe to be a typical environment of where they live. After walking through the Wadi, we drove a short distance to the artificial stream going through the park. We were looking for, among other things, Crakes of different kinds, but found none. 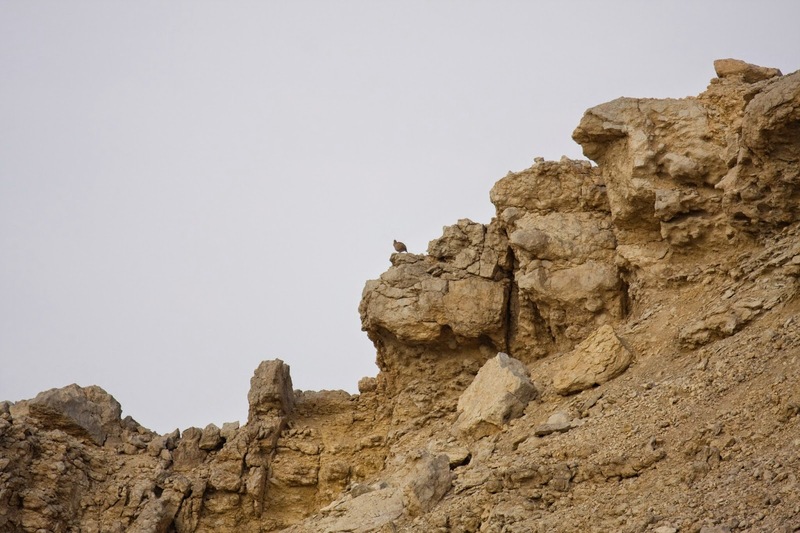 We saw two Arabian Partridges (arabisk rödhöna, Alectoris melanocephala), but as they are a known to be introduces, the find was not that cool. I hope I get to see them during my trip to Oman in November. 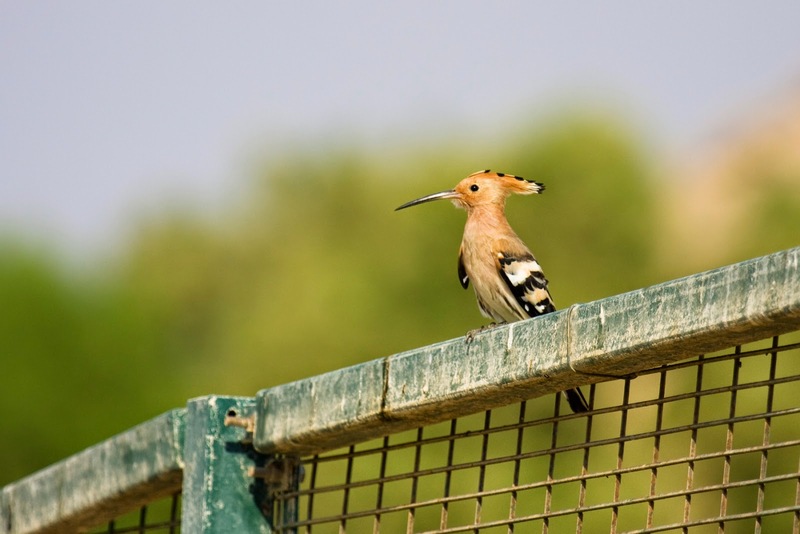 The everpresent Hoopoe, beautiful as always. After the Green Mubazzarah we drove towards Jebel Hafit. At this point I was really, really tired and started thinking how I would get through the day without sleeping some... As always, though, the mountains are beautiful and Jebel Hafit was no exception. 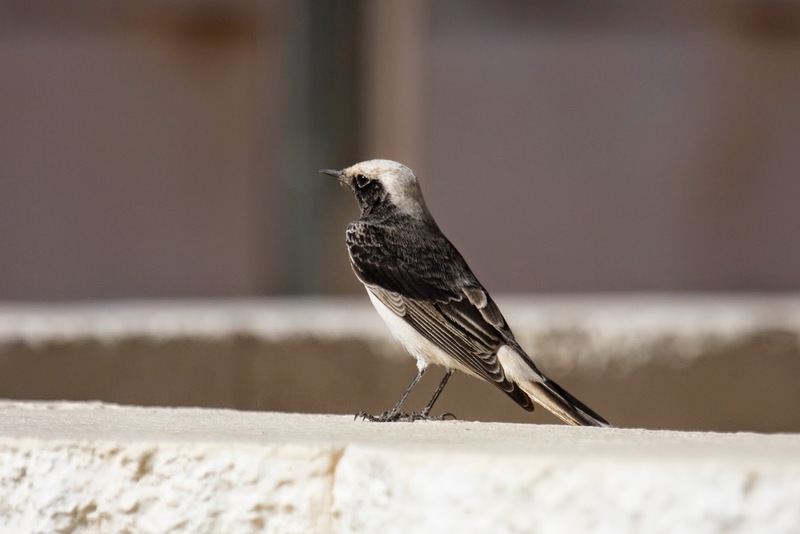 We stopped at the Mercure hotel, another place where there was a good chance of finding the Hooded Wheatear (munkstenskvätta, Oenanthe monacha). After not finding it in the parking zone, where it is quite often found, we started walking around the hotel itself. Still tired, but I pushed on as this was one of the absolute top species I wanted to see during these two days. First we found a couple of White-spectacled Bulbul (levantbulbyl, Pycnonotus xanthopygos) but still the Wheatear eluded us. We walked around the pool, where a Black Redstart was seen, and up to the lookout spot. There it was!! At a little bit of a distance sitting on a light fitting below the lookout spot. Perfect!! 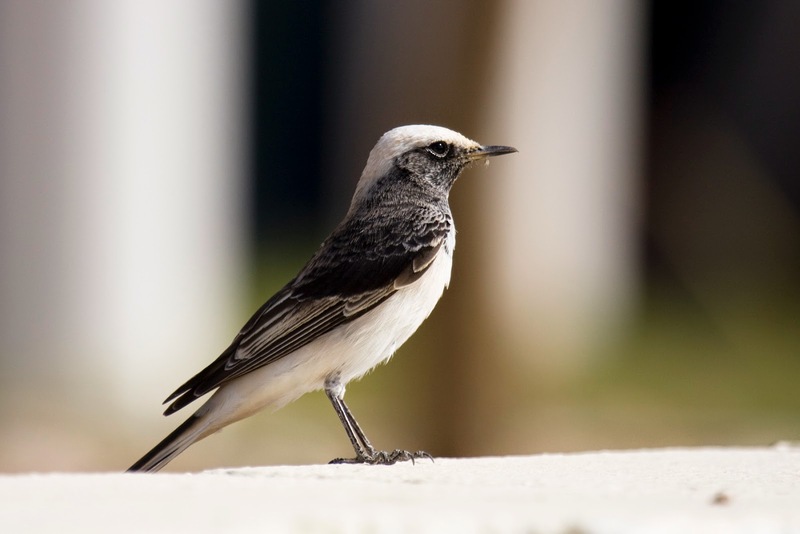 The Hooded Wheatear, a 1cy male, showed itself nicely from the lookout point for some time until it flew off. 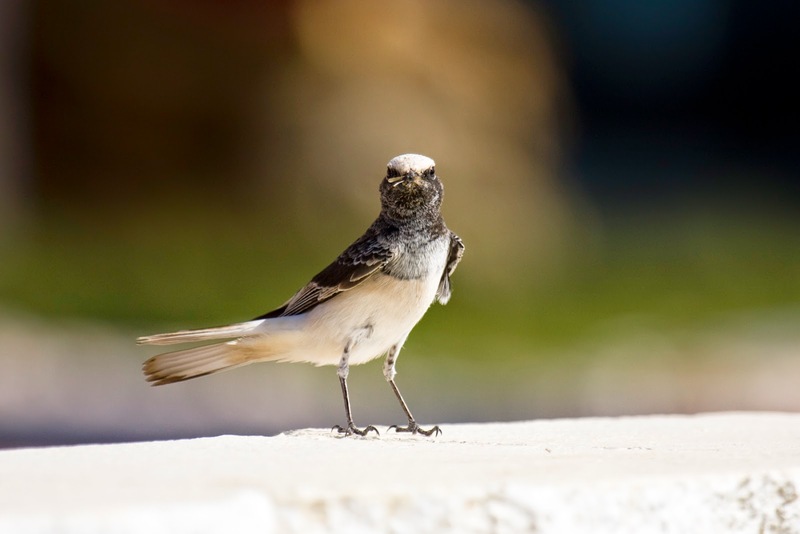 We studied the Wheatear for some time until it flew off. As Mark had relatively few encounters of this species he was also pretty happy. I definitely thought we had seen the last of this bird but instead of flying away it flew towards us. 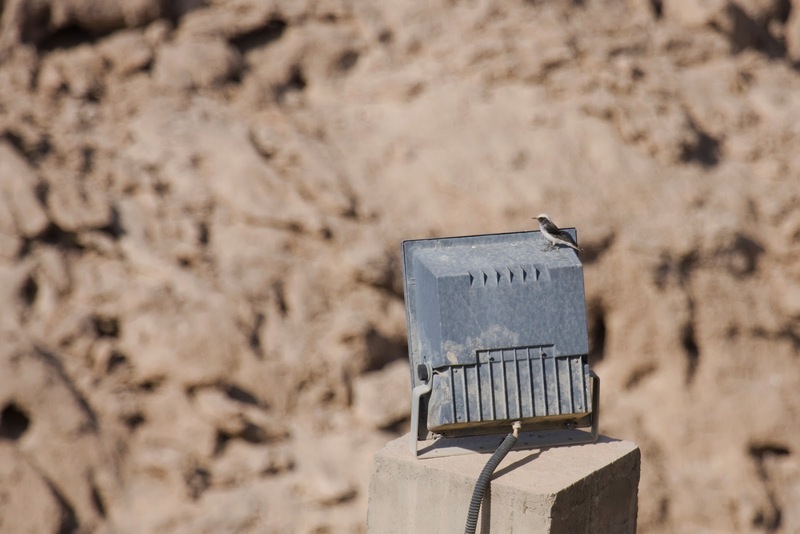 As it happens, it flew all the way to the wall, which we were leaning against. It stopped just two meeters away... Close enough that I didn't get the hole bird in my shot below, the feet are missing. I then stayed close to us for a long time and the photos below are just a selection of all the shots I got. 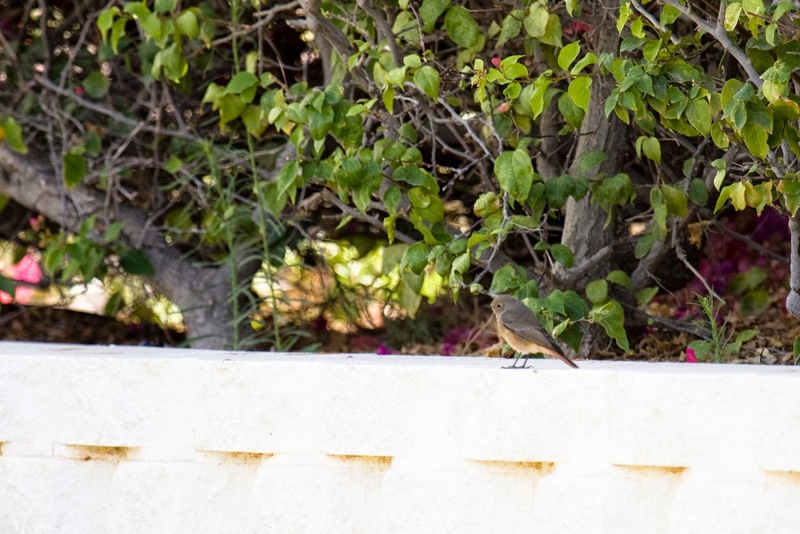 Another Black Redstart kept the Wheatear company in the hotel yard where I spent some time taking photos. Nice close up of a nice bird! After the hotel, we drove further up the mountain towards the main vantage point. On the way we stopped for a while in another good spot. 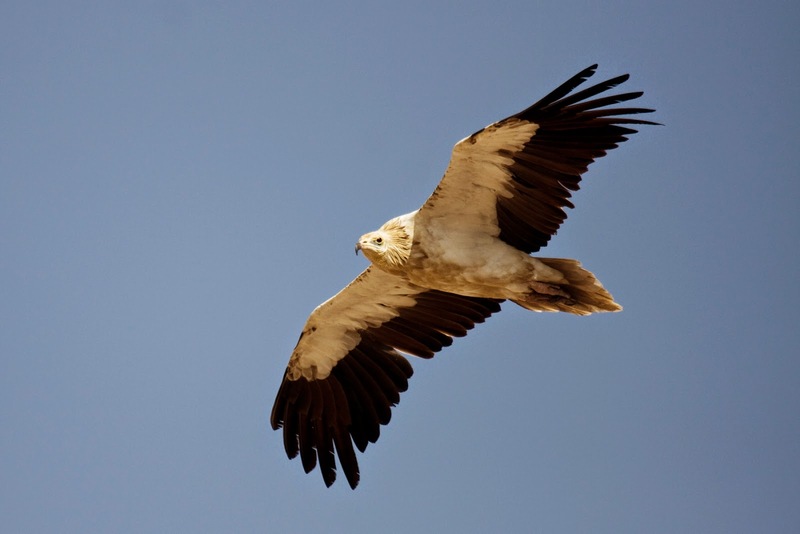 There were supposed to be Egyptian Vultures (smutsgam, Neophron percnopterus) on the mountain and normally you shoul be able to see several sitting in a mast on the mountain but none could be seen this day. Mark found one pretty far off, which was very nice. It dissapeared behing a small mountain knob and I figured that that was it. But it came back, flying just over our heads giving us a spectacular view of the bird. We saw one more in the distance a little bit later on but this was the last bit in Jebel Hafit and after this we drove off towards Zakher lake, but more about that in another blog post.